3 Ways To Use This Effective Homemade Flea Killer! When we were battling fleas, we tried everything! Then I heard that vinegar kills fleas, and I had to give it a try. There are different ways you can use vinegar, such as in the bath, applying directly to your pets fur or skin, or even in their drinking water (dogs only - more info on that below). PS: One of these methods I found to be much more effective than the others! I was hoping that the vinegar would kill the fleas upon direct contact. But if that were the case, the flea product industry would be out of business! We'd all just get a bottle of vinegar at the local supermarket and our troubles would be over! If vinegar kills fleas, it's in a more subtle way. This is a homemade flea killer everyone should know about. 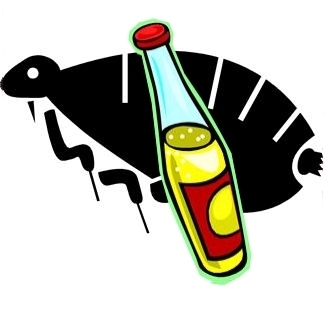 Vinegar is very acidic and sour, and fleas just hate it. So mostly it just repels them. The theory is that a flea would starve before it would go near a pet who smells like vinegar. So this is how vinegar kills fleas. One of the ways vinegar kills fleas on pets is to add it to their drinking water. Some say that a bit of apple cider vinegar in their water will alter their skin, making it unpalatable (acidic) to the fleas. Pros: There are many fans of this method, who swear that doing this with their dog really helps get rid of fleas. It even seems to repel the fleas so well that it's used a preventative maintenance. Cons: It's not a good idea to try it with cats. A cat's ph should be between 6.0 - 6.5. Vinegar is very acidic. 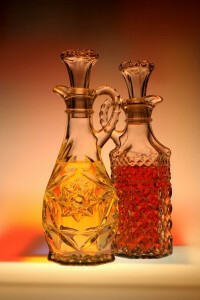 Adding vinegar to their diet can lower it below 6.0, causing serious health issues. But that doesn't mean you can't use vinegar to repel the fleas. Applying it topically will have the same effect. The cats coat will be acidic, and just plain yucky to fleas. They will go away and stay away. Our dog hated the taste, even when we used cider vineger (which should taste better than white vinegar) and we added just a little to her water bowl. So she ended up drinking less than she should, during the heat of the summer. We gave up on this method and just used it topically. We've found two measures that work well. The first involves giving a cat a bath. As many folks know, Dawn dish soap is a gentle way to bathe a cat and help with fleas. It must be left on for at least ten minutes. And even then, you may end up rinsing and drying a cat who still has lots of live fleas in his fur. Try filling a couple of large cups with plain white vinegar (if you're out, cider vinegar could be substituted) and taking them to the bath with you. When lathering, mix with a bit of the vinegar. Let it sit if you can. Rinse with water and alternate with a small stream of vinegar. Repeat. This method works much better than washing with dish soap alone. The difference is noticeable. The fleas will fall off into the bath easily, instead of clinging to the fur and hiding in the whiskers. 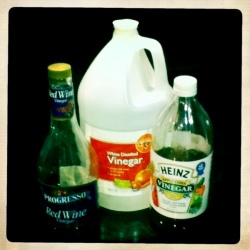 This is, by far, the closest I came to seeing vinegar kill fleas, and the most effective vinegar method we used. It didn't get every one, but there was a marked difference once I added it to the bathing ritual. For the next few days, the fleas will find him quite repulsive! And your pets fur will probably be softer than you have ever felt it. Fill a squirt bottle with half water (with a couple drops of soap) and half white vinegar. Drench your poor cat or dog. Let him air dry, if it's warm enough. He will once again feel clean and fresh, and the vinegar really is wonderful for conditioning the coat. So soft! If the bottle won't work, some find success with a bowl and a washcloth. Some pets come to really enjoy this "rubdown." 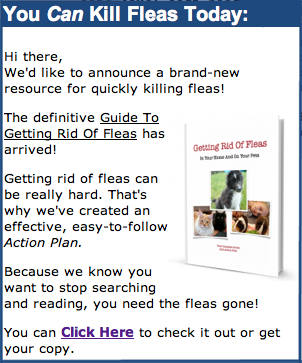 If you have landed on this page about how vinegar kills fleas, you are probably trying everything to get rid of the fleas. This is a difficult battle, but one that can be won! Although we found using vinegar helpful, we didn't find that vinegar kills fleas on it's own. We succeeded in getting rid of flea by using multiple products. The quickest and surest way to victory is by treating pets, home and sometimes even the yard. 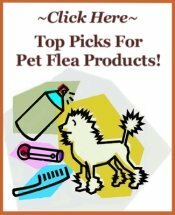 You can visit our page on Top Pet Flea Products to see some best-sellers and compare pet flea products.